Qualipoly Chemical Corporations set up its foundations in Kaohsiung by CEO, Mr. Tsai Yeou-Liang in 1978 as he foreseeing the high demand of synthetic resins in Taiwan. In a glace of 5 years, Qualipoly not only has become one of the primary unsaturated polyester resin suppliers in Taiwan. With an enhance technology of licensing agreements from Neste of Finland to produce Low Styrene Emissions resins. 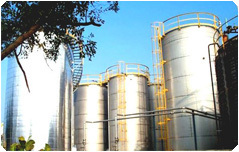 The continue growth over the years of Qualipoly Chemical Corporation has lead to an astonishing expansions in both product ranges and commercial. Qualipoly is now a major supplier of polyurethane resins, wire enamels, insulating varnish. In year 2004, the introduction of UV curing monomer and oligomers has been overwhelmed in the market. Future of Qualipoly Chemical is indeed on a bright rise. It will be a never ending task of Qualipoly to answer our customers with high quality resins, competitive prices, and more upgraded products. Qualipoly is well prepared for stringent competitions ahead of us.